Using a metronome could enhance the effects of CPR, rising the chances of restarting a person’s heart. CPR is vital when blood flow or breathing stops, avoiding permanent brain damage or possible death. Scientists found that if CPR is performed following every click of a metronome, it would significantly help to keep the heartbeat going. “The rate of chest compressions during CPR can be optimized by the use of a metronome. These findings will help medical professionals comply with the AHA guidelines,” the study says. CPR is a life-saving technique that most people know and that everyone can learn. However, experts warn that 70 percent of Americans don’t know how to use it or they have forgotten how to, according to statistics of the American Heart Association. The rate compression is hard to follow without something to guide you, and there’s where the metronome becomes useful. The optimal rate for compression is 100 to 120 per minute, which some may consider fast. “When chest compression is too slow or too fast, it decreases the effectiveness of CPR,” says pediatric cardiologist Dianne Atkins a spokeswoman of the American Heart Association. The study conducted by the AHA involved more than 150 medical professionals performing CPR on pediatric manikins, with and without the metronome. Results say that the use of the metronome increases the CPR effectiveness by 22 percent. Researchers hope that these findings will encourage hospitals to have a metronome among the tools of an emergency revival kit, stating it can be easily downloaded in a app-form to a mobile device. 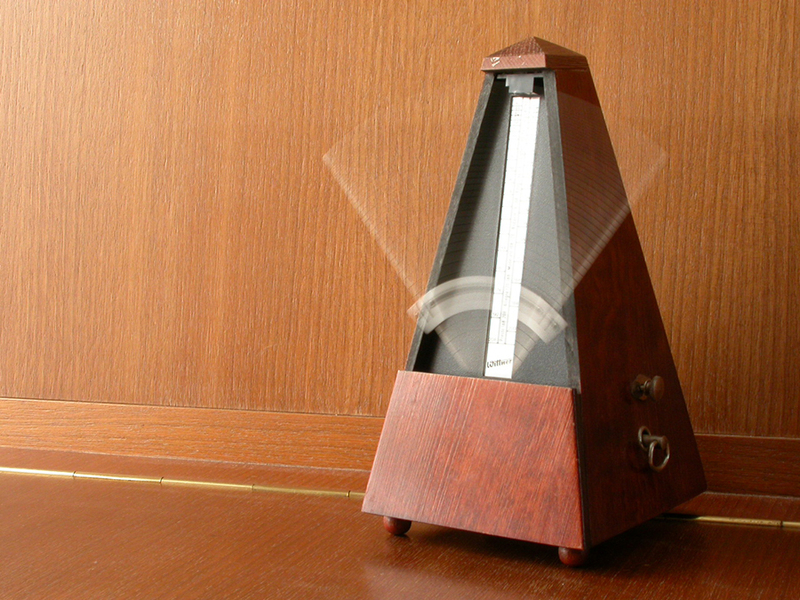 They advise to set the metronome up to 100 beats per minute to do it properly. This isn’t the first time that music is used to ensure proper CPR, as other studies tried to prove that using songs may help, resulting in controversy. Although this won’t become a standard yet, it could mean saving a life.